Another great month, although slightly down on the previous month. It was certainly a month of big ups and downs and developments here at Moms Make Money and the future of some projects looks a bit uncertain. Let’s look at the good before we look at the bad and the ugly! 28th November was my first blogging birthday! One year since I started over at So Sew Easy – and I feel I came a very long way in my first year. You can read all about it and laugh at my first ever blog post and photo in the year in review. November was my Seasonal Sewing Series over at So Sew Easy and it was amazing! 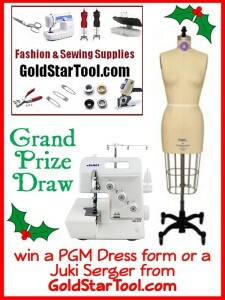 The guest bloggers shared some fabulous projects and the sponsors were so very generous with prizes everyday. 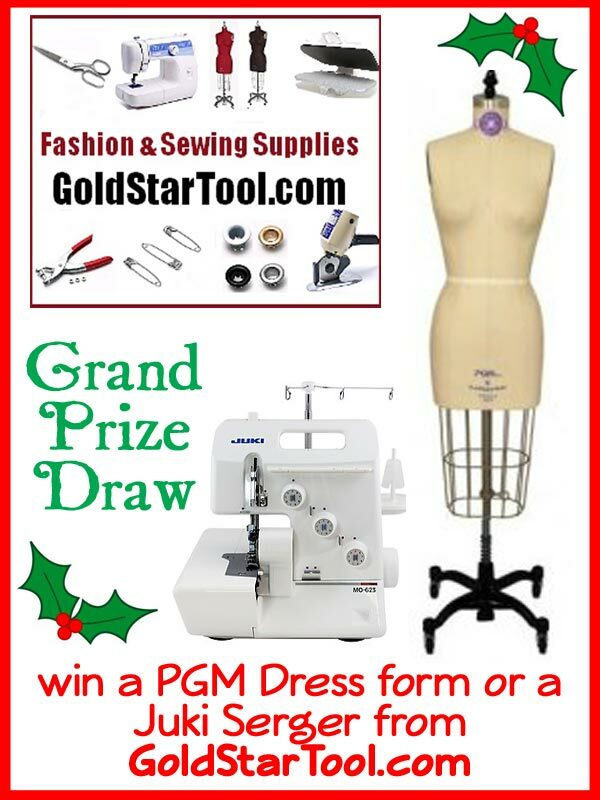 The grand prize draw is open for one last day – drop on over now for your chance to enter a Juki Serger or a PGM dress form. This brought in a lot of new readers to the site, many of whom became followers to my social media accounts and joined my mailing list. So it was very successful although it was a LOT of work! If you want to increase your reach, running this kind of guest posting series with a giveaway is a great way to do it. A big thank you to everyone who took part, bloggers, sponsors and readers. You rock! Sewing pattern sales continue to do well for just two patterns released so far. My sewing pattern testing group completed the work on my next paid pattern for the Slouchy Sweater and it was released on 7th Dec. It’s a little more expensive than the previous two releases, and its the first paid clothing pattern. I’ll report back on how well this does next month, and I’m also working on another to be released early January. Blogger to WordPress Transfer E-course. I’ve had quite a few inquiries from bloggers wanting to learn how to carry out their own switch from Blogger to WordPress, and from those who haven’t qualified for my free site set up offer, or who want to set up more than one site. So I developed an online training course to show you exactly how its done. This course is recorded in real time as I go through from the very start setting up a new site through step by step until the transfer and redirection from Blogger to WordPress is completed. It’s then split down into small, easy lessons. Each has a text to read with background and notes, details of why you are carrying out these steps, along with a video for you to follow and checklists along the way to make sure you don’t miss anything. Early feedback has been excellent, and at just $37 the price is already good for the amount of work I put into this course, and the money it can save you. But even better, Moms Make Money readers get to SAVE 50% off the regular price, making it just $18.50. Use code MOMSMAKEMONEY at check out for 50% off the course. This course also comes with an affiliate program so you can recommend it on your site and earn $10 for each course sold. Read more about the affiliate program here. Now let’s get to the bad. I have been mentioning in previous months how search engine traffic to my sites has become extremely erratic. Well forget erratic, how about almost stopped! Towards the end of November, abruptly at about 2pm, traffic to both of my sites from Google reduced to a trickle. This site was worst hit, and search engine traffic daily is now in single digits – less than 10 and usually less than 5 visitors! Google visitors for So Sew Easy dropped about 70%. The traffic that comes from search engines is so important when you are trying to earn from your site. These are targeted readers, they are searching for your content so when they arrive my stats show that they are more likely to spend longer on the site, and visit more pages, more likely to click on your links and a good percentage will click an advert, or affiliate link. More so than your every day readers who have already seen your previous content and just drop in to see what’s new. This steady supply of daily ‘fresh’ visitors is the way the sites earn most of their money. And with this steady supply down to a trickle, it’s already had a devastating effect on what I have earned so far this month. Although all bloggers, myself included should understand the basics of using SEO for their site, there are some occasions when its time to call in the experts! I’ve already had a couple of people take a look at my site, stats, webmaster tools etc and there is nothing apparent that would explain this enormous drop in traffic from Google. It clearly requires further investigation and work. Technical support fees in November cover this work and there will be further to come in December. This is worth investing in, because without it, I stand to earn a fraction of what I have been making in these recent months. Anyone know a great SEO person they can recommend? My site set up service continued to be popular during November but then was brought abruptly to a halt by a change of policy at GoDaddy. Mid-November they changed their site set up procedures so now a renewable form of payment must be entered when a site is set up – usually a credit card or PayPal account. This means that for any sites I now set up I have to enter payment details – and if I enter my own details they will remain on file and could be used for payments and renewals in future! Clearly that’s not going to work out well for me. It seems I am in a unique situation with them – I am the only crazy person out there who sets up websites for other people for free, and pays their first year fees personally. So I’ve had to suspend setting up the new sites while I work with GoDaddy on a work-around for this. If we cannot come up with a work-around, then I’ll still offer the site set up service, but it will no longer be totally free. I’ll do the work for free, but the site owner would need to buy their own site using their payment details – it’s still only $36 for the year, but there’s a big difference between free and $36 and I don’t expect the service to continue attracting customers if this is the case. I’ll feel very very sad to see this leave. It was a great idea, a great offer to bloggers and those looking to make a start. All good things must come to an end I suppose. This was part of the motivation for me getting the Do It Yourself transfer online course completed, as an alternative. With search engine traffic just crawling along, and the new site setup service suspended or withdrawn, plus the slowdown expected over the Christmas period, I have a feeling that December will be a very quiet month! Earnings target – just $1500. Deby, As you know I am so new at this, I’m not the one to give advice. If you find a good SEO though please share! I did found something interesting and confusing at the same time on my site. I paid a designer to build me a site last year, it was not at all what I needed to do a proper recipe and cooking site so very little content has been added. I then decided to build my own and teach myself as I go. I had the site up and running in just a few weeks. I have been vigilant about adding recipes and content several times a week doing great photo etc. I get a couple of people a day. I am devastated – I know I’m new but that’s just crazy isn’t it? So I went to visit my other site which I am going to use for photography and guess what? When I looked at the site stats… the site I don’t do anything with, has very little content… gets the same number of views! I don’t understand it at ALL! I have read article after article that for the most part says write good content and they will find you. I just don’t believe that to be true in todays market. You have been in this and seen success… Do you think that the way search engines view larger website that pay for advertising has more to do with it than anyone is willing to admit to? I noticed for recipe and cooking sites, no matter what you are searching for, the first page is always the big guys and the snippets that come up are just generic info not relevant to my search. Sorry for such a long post but it is very frustrating to say the least! Hope you can find out what’s up with your site! Cindy, look into Court Tuttle, with the blog builders. He has spoke at a few blog conferences and maybe the SEO person you need. Let me know if it works out with this lead. Yeah, don’t look into Court Tuttle. He used to run The Keyword Academy and once Penguin hit he ceased to have any advice that worked. I have yet to see him deliver anything that was actually beneficial that didn’t have a hefty price tag attached. Ok, so talk to him, just expect him to charge a lot and provide very little. — my experience, anyhow. I feel so silly – I just dropped in to take a look at your site for the first time – I thought it was about cycling! You’ve got such a lot on there that I need to read, understand and learn. Thanks for the info and advice. I’m in wait and see mode until the new year to see if things improve on their own through my own efforts. I’ve spent/wasted too much money recently on ‘experts’ who have left me no better off and sometimes worse off than I was before. I’m also going to learn so much from your own site that I’ll have a new plan in no time. Thanks for leaving a comment. Wow- every month you have been doing better and better! I really appreciate the updates every month. I look forward to more success for you! 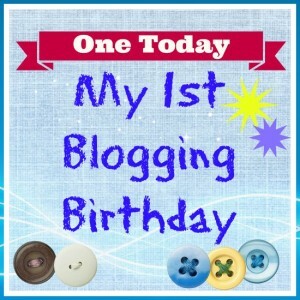 Congrats on your first year blogging anniversary! Looking forward to your future posts and wishing for even more success in the monthly income posts!!! 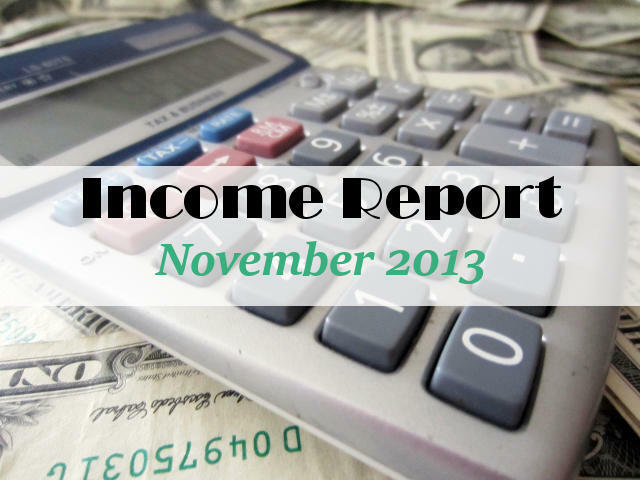 Incredible numbers for only blogging for one year!! Good work. I love how you have so many little streams of income coming in. Well-diversified. It is refreshing to see!